Things are going so smashingly well for Star Citizen that Chris Roberts has decided to delay the dogfighting module that was scheduled to come out this month. It would appear that Star Citizen has become a victim of its own success. 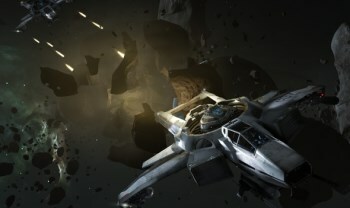 As Chris Roberts explained in the latest Letter From the Chairman, the initial idea was to release an early build of the game's multiplayer dogfighting component in order to drum up interest and attract investors, but that plan didn't take into account the possibility that the whole thing would be entirely crowd-funded. Now that it is, and at a level beyond anything the team expected, that strategy seems both unnecessary half-baked compared to the vastly expanded scope of the game. Thus, RSI was left with two choices: "Either fork development and spend time building something that would involve throwing away work in order to meet the December deadline and deliver something that wouldn't have the level of polish I'm happy with, or stay on course to build something that would lead directly into the finished game." "As time has progressed I've become more nervous taking the down and dirty route with the initial dogfighting build, especially as our numbers grow," Roberts wrote. "So rather than force the team to crunch through the holidays chasing something 'good enough,' I am going to make the tough choice to delay the dogfighting module for a couple of months to allow us to take our time and deliver something special." The Roberts Space Industries team is planning a two-hour livestream at 9 am PST on December 20 to show off the dogfighting work in progress. An update to the hangar that will add "fun new functionality" will also be released by the end of this week.